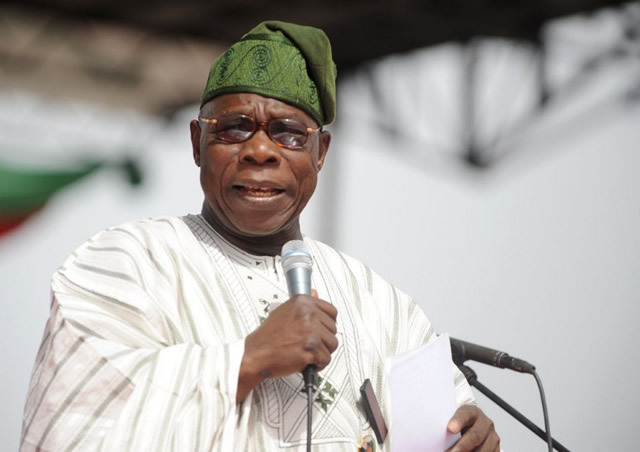 Obasanjo, who spoke at a stakeholders’ meeting at Ukpor in the Nnewi South Local Government Area of Anambra State, said the APC had no plans to hand over the presidency of the country to the Igbo. He urged the Igbo to take their destiny in their hands by getting united in the 2019 general elections and make a mark. He said, “I urge you the Igbo not to allow anybody to relegate you to the background because you occupy a place of preeminence in this country. “The Igbo must bury their differences and work together for the actualisation of the Atiku/Obi project in their best interest. It’s dangerous to take the APC government seriously.” Describing Peter Obi as a beacon of hope, Obasanjo asked him to reach out to major stakeholders in South-East to drum support for the 2019 PDP presidential project. “You and your presidential candidate have become the beacon of hope to all Nigerians who have had it so rough in the last four years.” “You need to think out of the box to take this country out of the woods caused by the incumbent clueless administrators. “With your pedigree as a governor, I’m hopeful that things will work again in Nigeria under your leadership as vice president. In his welcome address, the first republic aviation minister, Chief Mbazuluke Amechi, described Obi as good man, adding that the Atiku/Obi ticket was needed at a time like this.